Journalist and innovation expert Warren Berger shows that one of the most powerful forces for igniting change in business and in our daily lives is a simple, under-appreciated tool - one that has been available to us since childhood. Questioning; deeply, imaginatively, "beautifully" can help us identify and solve problems, come up with game-changing ideas, and pursue fresh opportunities. 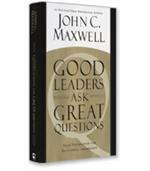 Berger shows that the most creative, successful people tend to be expert questioners. Why does a prosthetic foot have to look like a human foot? That simple question would revolutionize the world of prosthetics, leading to the invention of the flex-foot prosthetic, made famous by Olympic medal winner Oscar Pistorius, that has changed the lives of millions of amputees. The Chapter 1 story of how the questions of young amputee Van Phillips inspired his groundbreaking invention sets the stage for Warren Berger’s brilliant and inspiring book, A More Beautiful Question, and introduces his powerful Why, What If, How framework, which will help readers exploit the full potential of questions. Then Phillips took the vital next step: He decided to answer the question himself. “Why can’t they make a decent foot?” became “Why can’t I make a decent foot ” Dropping his broadcast major, Phillips enrolled in the top prosthetics study program in the country. Through the next decade, Phillips continued to learn and continued to question. 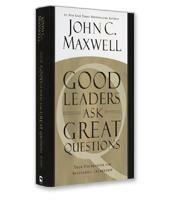 What If questions, Berger writes, formulate possible solutions. 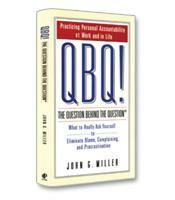 Turning those possibilities into reality requires a third set of questions: the How questions. As with any innovator, Phillips now had to ask himself, “How do I turn these ideas into prosthetic feet?” “This is the final and critical How stage of inquiry,” Berger explains, “when you’ve asked all the Whys, considered the What Ifs…and must now figure out, How do I actually get this done?” For Phillips, answering the Hows required building hundreds of prototypes, which led to his eventually successful design. Van Phillips’ story is just one of scores of compelling stories related by Berger as he plunges deep into the Why, What If and How framework at the heart of the book. Berger also dedicates two of the book’s five chapters to (respectively) Questioning in Business and Questioning for Life. 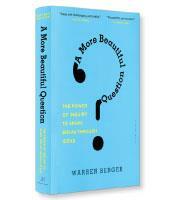 Berger, a journalist, has not written the first book on the power of questions. However, his multiple compelling and well-told stories and an important and practical framework for breaking free of the tyranny of answers make his entry one of the best.